(Produced during my 6-week residency, June–July 2015, at Nirox Art Foundation, Cradle of Humankind, birthplace of humanity). The Cradle of Humankind – listed by UNESCO as a World Heritage Site in 1999 – opens windows onto many pasts: onto the origins and evolution of humanity, but also, perhaps less well known and appreciated, marks and bears witness to many of the key phases of more recent South African history. This has only been perceived by scholars in the last 30 years, and has still to filter fully into the wider public consciousness. The Cradle region is the scene of numerous epic battles; ancient as well as between the many African chiefdoms that settled or tried to settle in the interior, in the period sometimes called the difaqane; between African chiefdoms and Boers; and between Boers and Britons, as well as several Afrikaner rebellions. The Cradle provides a lens through which to view and comprehend a series of absolutely pivotal and formative moments of South African history. It offers a privileged vantage point from which to understand what it means to be human and what it meant and currently means to be South African. But how to capture this perspective in landscape photographs in this achingly beautiful region? How to excavate below our conventional sight level to recover the veins of myth and memory that lie beneath the surface? To look and discover what eludes cursory recognition and appreciation, to try and discern the outline of an old landscape “protruding above the surface of the commonplace of contemporary life” (Simon Schama, Landscape and Memory). “Even the landscapes that we suppose to be most free of our culture may turn out, on closer inspection, to be its product…and this is a cause not for guilt and sorrow but celebration” (Schama). 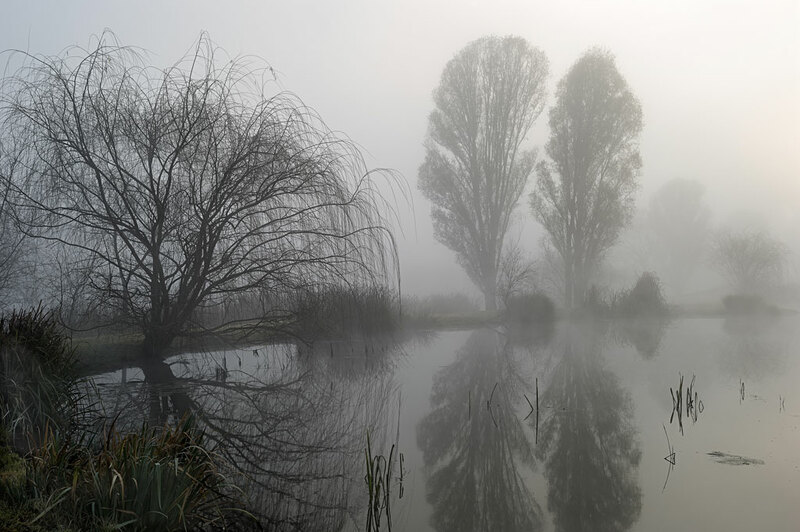 My time spent at Nirox was an invitation to reflect, enlarge and contribute to self-knowledge, to explore the region, its myths and its history, uncover the spirit of the place and even enquire into the nature and possibilities of landscape photography itself. In an essay entitled ‘Remaking Johannesburg’ (2010), Lindsay Bremner describes evocatively how the city’s history evolved spatially along two major trajectories. Firstly, after the discovery of plague in the 1930s, the eradication of the disease involved the quarantining of victims according to racial groups and racialised spaces. This provided at least a quasi-medical rationale for the subsequent racialization and division of developing space in the city, as white-owned mining capital moved black labour out of the city and into the townships and hostels of the South. Bremner analyses how, in more recent times, the spatialisation of capital has involved the creation of a ‘landscape of desire’ to the north of the original locus of the city, a true arcadia of fantasy Italianate architecture and leisure space, built in proximity to the new financial services hub of Sandton. The legacy of the racialization of Johannesburg’s space survives, she contends, in the Eurocentrism of this suburban vision, one which aligns with the 1930s version of Johannesburg as a bastion of European architecture built by multinational capital. Such non-places are opposed in a dynamic and fluid way to ‘places’, or more formally anthropological spaces, spaces in which citizens of the city with full access to rights and services can be situated within a properly organised and regulated milieu. Places and non-places interact, writes Augé, ‘like palimpsests on which the scrambled game of identity and relations is ceaselessly rewritten’ (64). These ‘non-places’ and people who exist in a liminal way in most global societies are in some ways a negative function of the generalised regime of the representation of places and people enabled by contemporary technologies like Google Earth – in which, at a couple of clicks of a mouse or caress of a touchscreen, any space, it seems, can be accessed and ‘experienced’ – in what Benjamin called the ‘phantasmagoria of equality’ in the culture of reproduction. But another view of space is still possible – and the Gauteng mega-city region of which Johannesburg and Pretoria are parts, provides it. The liminal spaces of cities like the Gauteng mega-city can be usefully opposed and compared to their corollary – the emptied out peri-urban and rural landscapes which seem to function, in their opposition to these ideologically-loaded and contested urban landscapes, as ciphers of something else. In Gauteng’s case, a particularly interesting counterpoint is between the urban sprawl and its neighbouring Maropeng region, home to the Cradle of Humankind World Heritage site, which is itself still part of Gauteng. But what does this landscape, and its proximity to the mega-city region, represent? Is it a repository of history, a synecdoche for the political and socio-economic formations which are built upon them? Such particularly pointed and loaded questions arise in David Lurie’s new body of work, a set of characteristically evocative landscape photographs taken in the Cradle of Humankind as the output of a residency at Nirox, the sculpture park and artist’s retreat set in the middle of the historically-charged landscape. The Cradle is regarded globally as one of the most significant regions of the world for the fossil record of early hominids. It is also, as Lurie’s photographs reflect, redolent with the histories not only of paleontological human remains, but of more recent human conflicts and remains – all constitutive of the character of modern South Africa. Early tribal conflicts and wars in the region gave way to struggles between the Boers and the British colonists. Sometimes all three parties waged war against each other at once, and often with this region as backdrop. While the Cradle landscape bears vestigial yet important symbolic traces of this history, Lurie photographs it as devoid of human actors. The traces, even that of the contemporary tarred road running through the region in one picture, are without human figure. The ‘terra nullius’ Lurie’s approach gestures towards is of course a fraught concept ideologically. It is an evocative, perhaps also provocative, gesture, standing against the Cradle landscape as one which is, primarily, excavated for its fossil treasures. As metaphors, excavation and landscape art together say perhaps more about the peculiarly South African artistic field than any other. As theorist Paul Virilio puts it, ‘the field of vision has always seemed to me comparable to the ground of an archaeological excavation’. The tropes of excavation and landscape bring together the numerous views of how South Africa has been visually imagined by many artists as a country being constantly mined, dug up and penetrated, or, alternatively, emptied out to represent the beauty of a landscape free from human presence. The only other landscape trope in South African art which is perhaps more powerful than that of the empty landscape is that of the mine. The unique visual profile of the mining headgear and mineshaft into the earth is arguably the most characteristic dramatic symbol of the tortured character of South Africa’s history, symbolic of the racialization of space and capital and the forced removal of black people from the urban landscape and economic opportunity. It is synonymous with the histories of the Gauteng city-region, and synonymous too with the shorthand symbolism of artists as disparate as William Kentridge and Steve McQueen, who have in the recent past taken up the trope. In many of Kentridge’s early animated films, set in a mythical, or perhaps simply graphically illustrated, Johannesburg defined by white-owned mining capital, the headgear stands in for the city itself, and the spatial and racial relations that it defines. McQueen’s film Western Deep (2002) makes the connection between race, capital and apartheid political power searingly obvious in its depiction of workers in one of the city-region’s characteristic, yet now becoming obsolete and artifactual, gold mines. His framing of the worker experience of their everyday labour is reminiscent of the legions of oppressed underground slaves in Lang’s Metropolis 1927. But the two tropes – of the mine and the landscape, are, in contemporary South African art, closely allied. Art depicting South Africa’s landscapes in a broader, or more generalised, sense than the symbolic terrain of the mine and its headgear, brings a similarly charged set of interventions to a fundamentally contested terrain. The landscape, as it always has tended to do in art history, stands in for a series of socio-anthropological meanings, acts as a synecdoche for a mute history not only of the landscape, but of the human struggles, tragedies and rituals it contains. Depictions of the land conceal, like the urban palimpsest does more easily, a deeper layer of meaning. In South Africa, the notion of the ‘empty landscape’ is immediately ideologically loaded – with or without Dubow’s nuanced insistence on the landscape as by definition a depiction of melancholy and loss. Our post-colonial society partly attempts political redress on the basis that ownership of the land is historically, and not economically, determined. ‘Settlers’, who generations ago occupied land that was originally owned and settled by indigenous populations, have historically used the trope of the depiction of an empty landscape as a justification for its occupation and usurpation. The aesthetic fetishisation of a landscape without inhabitants is contested by those with prior ancestral claims, even if they are in turn contested, to this day. The need for a countervailing ideological view of the putative and ‘authentic’ ownership of apparently empty land is urgent, yet in the face of politically revisionist and militant rhetoric it is often forgotten that many of South Africa’s most beautiful landscapes are also rendered empty simply by the movement of populations from rural to urban areas – sometimes a movement historically forced by apartheid, but latterly occasioned by the ideological fallout of apartheid spatiality – the migration to search for economic opportunity in the cities. This is not to suggest, of course, that any such depiction of empty land can be free of a consideration of the conditions which cause it and the socio-political relations which determine it. In considering Lurie’s lyrical and delicate project then, should we consider, as he seems to wish to do, the problem of the depiction of landscape as primarily an ideological one? In photographs such as ‘Remains of pioneer cottage, Kromdraai Valley’, or ‘Pioneer graves, Kromdraai Valley’, we are faced with a seemingly ineluctable historical process – the resumption of a state of nature, or the receding of a presence in this place that was once human back into the landscape on which it once imposed. If the land, as these images seem to say, simply is, then Lurie’s images beg questions. Questions, firstly, about what is absent. Do we see, behind his images, landscape ‘in itself’? That is, having arrived at the point at which this image was taken through a long historical process, is the image also a witness to the process of how the landscape is itself made? In this reading, Lurie’s narrative is that, while traces are ineluctable, all returns to the land – the pioneer cottage and graves, redolent of so much struggle and lives lived, are strewn with the forest’s leaves and detritus as they sink beneath the weight of nature’s time. Another reading of his seductive collection is that these empty landscapes represent absence as power. If landscape painting, in this view, forms a kind of dreamwork of imperialism, an idea that now has much currency in a contemporary South Africa riven by questions of the connections between symbolism, visual culture and power it does not always itself understand, then what do we make of Lurie’s more definitive image, taken later in the day when the sun shines stronger and the landscape resolves into an indubitably African one, of the ‘Remains of a Stone Age kraal, built 1000 years ago, subsequently restored and used by Tswana speakers in the 19th century’? The caption, while prolix, conceals more than it reveals – the same landscape is criss-crossed by different histories, by different people, by different values. There are no judgements, no interpretations, only framing, only observation – something the determinism of an ideological analysis will not countenance. Lurie’s rigorously beautiful photographs thus advance the idea, in one sense, that landscape can be purely an aesthetic category. But these photographs, many taken at dawn and sunset, of a definitive, ancient, and yet, because of its framing, subtly indifferent landscape, also speak to the idea that every aesthetics is a politics. His magisterial yet melancholic collection also presents the problem of landscape as space in a South African idiom which we should, especially now in this era of extreme contestation, reconsider carefully. What conceptions of space come into play when we consider photographs as landscapes; landscapes – a traditionally painterly genre par excellence – as photographs? Lurie’s images are emptied of human agency, except as deliberate historical traces, or gesturing partly to the scientific value of the excavated space underneath the land depicted in these images. Can they contain, for example, a psychophysiological or psychogeographical idea of space that their subtle hints seem to point to? Or are they simply photographs of the history of this place? In the photograph of the landscape, can time be inserted or embedded in it, by the representation of things that happened there? Conversely, can time be evacuated from the landscape by the representation of stasis, that is, without human presence? The balance Lurie achieves in this collection, between the aestheticised emptiness of a landscape viewed as ahistorical and yet still charged with significance, and one fundamentally underpinned and marked with history’s traces, with a small and a capital H, is elegantly achieved. The views of the Cradle from Spioenkop, an Afrikaans term now transferred to British popular culture, evoke from above all the themes that he dissects and atomises at ground level in the shadowed, whispering vignettes of this collection. Maropeng’s global claims to cultural significance as the ‘cradle of humankind’, our tangled colonial history, our prior histories of brutal race war and displacement, all are gestured to here, and evoked here, without ever being insisted upon. Lurie has used his images to change the viewer’s relation to these histories, and in so doing he provides a different framework for understanding the landscape. The tropes of excavation and landscape are perhaps only mechanisms – they are hardly even symptoms – of a means to re-vision a small corner of the world through photographs. But they can nonetheless, as artistic practice, act as an antidote to the worst effects of a Google Earth syndrome that encourages the flattening of affect and the illusion of social and political engagement. This syndrome is indeed the worst kind of dematerialisation of art, and South African life. Yet this dis-placed and faithfully representative photographic history of a symbolic piece of the Gauteng region amply counters it by subtly and beautifully presenting the contestation of landscape and meaning that goes on vigorously in the country’s art. David Lurie’s photographs of Maropeng are an important new addition to that contestatory process and that debate.